Writing productivity as a pressing issue for marketers these days: We need to provide a lot of great content to build a varied and solid streams of traffic. We discussed blogging efficiency and how @MyBlogU can help last week. Today we are following up with more tips from the pro!
. 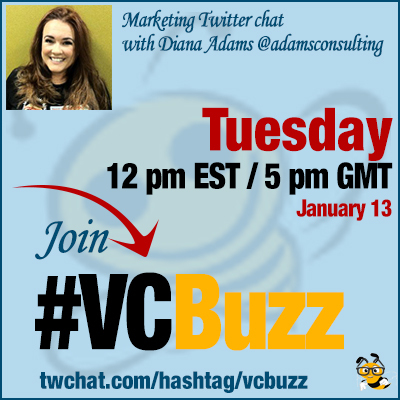 @adamsconsulting is a USC graduate and a tech entrepreneur. She is part of the Apple Consultants Network and owner of Adams Consulting Group, Inc.
Q1 We know you started at Wendy’s, but how did you become a tech entrepreneur? What’s your personal growth and career story? I schedule time to write my posts each day, so when I get up in the morning, I already know when and how many I will write. 4,020 of the posts I’ve written are on one blog so I have those tracked with WordPress screenshots. WordPress makes it easy. The remaining 100 or so posts are guest posts (luv guest writing). I track those in a massively cumbersome Excel spreadsheet. In the end, it’s not about the quantity of posts. It’s about the quality of each post. Each one represents a moment in time. No more than an hour but that only means 15-20 minutes of writing, the rest of time is finding images, formatting, links. I am constantly thinking about blogging topics all day long. I always have my list close by. It never ends. I think about blogging topics all day long. I am constantly making notes of possible topics. I make writing a priority. I love it so I do it every day. It’s like exercise….it’s hard to get started but easy to keep going. A few days ago wrote about how I create and keep a consistent blogging schedule. Q3 In your article about your milestone, you mentioned that you cringe when reading your old blog posts. I also remember that time being quite stressful. What’s your advice to the newbie bloggers? How to overcome the fear of publicizing your thoughts? How to start seeing results? Like I wrote in that @PostPlanner post, in order to tickle that place in your readers, you have to let your personality show. 🙂 It can be hard for new bloggers to show their vulnerable side. Give yourself permission to make mistakes. Learn with your readers. Results are measured in different ways for bloggers. If readers are happy & leave positive comments, it’s all the results I need. So many tools. I’m constantly trying new ones and changing. @ShellyKramer gives good advice on that. Check out this post I wrote on @PodJam. @ShellyKramer’s advice is gold. I write more than one post per sitting. I don’t have time to start one & go back. It’s one train of thought so to speak. About increasing writing productivity, I recommend writing posts in batches. Sitting down to write 2 or 3 at a time is perfect. Q4 What’s your favorite social media site to build your personal brand and promote your content and why? Twitter is my fav social site. I’ve sent 147,000 tweets. I’ve built meaningful relationships on Twitter. I’m a Twitter addict. I like Twitter because it’s fast and easy. I’m also a huge fan of Google Plus. I’ve found the Google Plus community to be very engaging and positive. I really like G+. I wish more people enjoyed it like we do. Q5 How do you balance your personal life and entrepreneurship? Is there way to be good / successful at both? I don’t believe in work/life balance (too hard). I am a believer in work/life integration. According to Forbes it’s the new norm. Work/life integration means fitting work and life into one space for a better overall lifestyle. It’s the only way to do it. Once a person can learn how to blend their work life and personal life into one, it’s not hard to be successful at both. Instead of trying to balance work/life separately, try to integrate them together. It feels more natural that way. It’s easier. If the idea of work integration is foreign to you, here’s an article you can read about it on Forbes. Since I don’t work traditional office, integrating work & life together feels natural. IMHO, essential for entrepreneurs.